The Mine commits to donating products to Habitat for Humanity ReStores for the fourth year. ATLANTA and SEATTLE, September 20, 2017 /3BL Media/ – Online home furnishings retailer The Mine continues its commitment to Habitat for Humanity for the fourth year through product donations with a retail value of $1 million to Habitat for Humanity ReStore resale outlets. 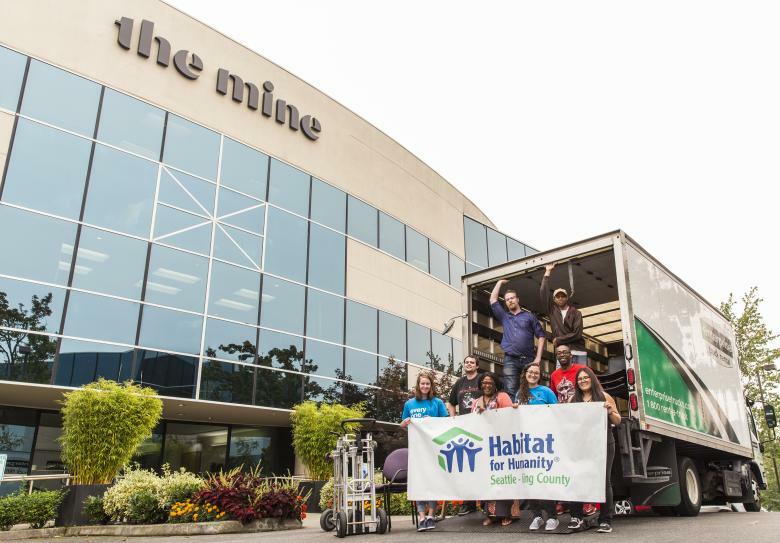 The Mine, previously ATGStores.com, has donated products to Habitat ReStores as part of its Friends of Mine philanthropy program, which the company began in 2014, with a focus on local volunteer and donation campaigns. The donations will consist of unused returned products, which will be sold at Habitat ReStores across the country. Proceeds from the sales of the donated items help support Habitat’s vision of a world where everyone has a decent place to live. The Mine offers retail and commercial customers a designer-curated selection of furniture, lighting and decor with a Personal Concierge program that provides complimentary one-on-one design and shopping services. The Mine donated products to Habitat for Humanity ReStores with a retail value of $1 million in 2016, $500k in 2015 and $500k in 2014, totaling over $2 million since the partnership began. Since The Mine began its philanthropy program in 2014, Friends of Mine has completed over 27 local projects with Habitat and other nonprofit organizations. The Mine is a premier online destination that makes it easy to get the home you crave by offering every customer exceptional customer care, a unique selection of high-quality home furnishings and fresh inspiration from leading designers around the country. We combine a killer selection in lighting, furniture, decor and more with one-on-one Personal Concierge service to take your design dream from concept to completion. The Mine is operated by Allied Trade Group, LLC, a subsidiary of Lowe's Companies, Inc. All references to the "company" are references to Allied Trade Group, LLC. Visit The Mine or email questions to press@themine.com.